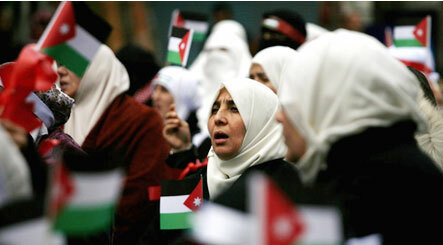 December 17, 2010 will be reckoned as a turning point in the history of the Arab region. On that day, Mohammed Bouaziz, a young educated Tunisian who eked out a living by selling fruits on a handcart, set himself on fire after being harassed and slapped by a municipal inspector who confiscated his handcart and fruits. He eventually died on January 4. The event triggered an unprecedented wave of protests and demonstrations across Tunisia. Labour unions quickly joined the demonstrations, which grew violent in the face of brutal retaliation by the police. The police caned the rampaging mobs, used teargas shells to disperse them and even opened fire, killing at least 78 civilians by official count. In many places the protests and demonstrations turned violent. The main rail station of Tunis was set alight by angry crowds. Demonstrators fought the police in pitched battles, torched police stations and ransacked banks and shops. Mercifully, Tunisia�s army refused to use force against protesters. On January 14 more than 40,000 people gathered at the historic Avenue Bourguiba to vent their ire against the government, braving torrents of teargas and bullets. France�s widely circulated newspaper Le Monde reported that �scenes that were unimaginable only days ago are now occurring with dizzying speed�. On January 14, the Tunisian President Zine El Abidine Ben Ali fled the country and sought shelter in Saudi Arabia. In a matter of days and weeks, the reverberations of what came to be known as the Arab Spring or the Jasmine Revolution began to be felt across large parts of the Arab world, including Egypt, Yemen, Jordan, Syria, Bahrain, Libya, Kuwait, Algeria, Morocco, Oman and Saudi Arabia. Thousands of Egyptian protesters began gathering in Cairo and other Egyptian cities from January 24, voicing their resentment and anger against rising prices, corruption in high places, President Hosni Mubarak�s autocratic rule, high unemployment rates and the huge gap between the rich and the poor, and demanding the ouster of the president. The police responded by bursting tear gas shells and water cannons. Night curfew was clamped on Cairo, Alexandria and other major cities and all internet services were shut off on government orders. There were clashes between the police and protesters in several cities. Several prisons across the country were attacked and the inmates freed. The government ordered fighter jets to fly low over Cairo to intimidate the protesters, but they remained defiant. Faced with mounting opposition and escalating protests, Hosni Mubarak resigned on February 11, 2011. Inspired by the events in Tunisia, tens of thousands of people took to the streets in Yemen�s capital Sana�a on January 26, 2011, demanding an end to the corrupt regime of President Ali Abdullah Saleh, who had ruled the country for 32 years. The protesters also called for economic reforms in the face of mounting poverty and unemployment and political freedom. Unnerved by the rising wave of protests and demonstrations in large parts of the country, the government released all political prisoners and journalists from prison. But the protesters kept an unrelenting pressure on Saleh to quit. Finally, after more than a year of political turmoil, President Saleh resigned, and Yemen�s Vice-President, Abdurabu Mansur Hadi, was sworn in as the country�s new president on February 25, 2012. Protesters took to the streets in Jordan on January 29 and shouted slogans against rising prices and high unemployment rates and demanded the resignation of the prime minister. Thousands of people held demonstrations in Rabat, Casablanca and Marrakesh, demanding political reform, freedom and changes in the constitution. While the protests and demonstrations remained largely peaceful in Egypt, they were accompanied by violence in Tunisia, Yemen, Bahrain, Syria and Libya. In Libya the mass protests against Muammar Gaddafi escalated into a civil war, which was aided and abetted by Western powers. The Arab Spring undoubtedly produced dramatic and unbelievable consequences. However, the repercussions and consequences varied from country to country. Arab countries with hereditary monarchies, such as Saudi Arabia, Bahrain, Kuwait, Oman, Qatar, UAE, Jordan and Morocco, were much less affected by the Arab Spring than those which were ruled by dictators and autocrats. While the Tunisian president fled the country and Egypt�s president resigned, Gaddafi was overthrown on August 23, 2011. In Algeria, a 19-year-old emergency was lifted following large-scale protests and demonstrations. In Oman, Sultan Qaboos announced economic concessions for the population, dismissed some ministers and granted law-making powers to Oman�s elected legislature. In Saudi Arabia, King Abdullah announced a package of economic concessions and conceded women�s voting rights and their right to be nominated to the Shura Council. On July 10, 2011 Morocco�s King Mohammed unveiled the outlines of a new constitution, which has been approved by a sizeable majority of Moroccans as well as the major opposition parties. According to the new constitution, nearly half of the powers previously held by the king will now be vested in the office of the prime minister, who will be appointed from the majority party in parliament. It also grants substantial political, social and cultural rights to women and the non-Arab sections of the population, including the Berbers. A remarkable feature of the popular uprising in the Arab region was its representative character. The protesters and demonstrators included a wide cross-section of the population, including men and women, young and old, judges and lawyers, doctors, academics and research scholars, artists, writers, students, administrative staff, housewives and businessmen. Women participated in the uprisings in substantial numbers, shouting slogans, throwing stones at policemen and nursing the wounded. They defied the widely prevalent stereotype that Arab and Muslim women continue to be victims of an oppressive, male-dominated social order. Tawakkul Karman, who was awarded the Nobel peace prize in October 2011, has been a leading figure in the pro-democracy demonstrations in Yemen, camping out for months in front of Sana�a University. In Tunisia, the Ennahda Party fielded quite a few female candidates in the parliamentary elections. There are 8 women in Egypt�s new parliament. Modern information and communication technologies, including satellite television, mobile phones, the Internet and social networking sites, played a highly important role in the popular uprisings in the Arab world. Al-Jazeera television emerged as the most important and authentic source of information, including live coverage of day-to-day protests with images and videos, on the rapidly unfolding scenario in Tunisia, Egypt, Yemen, Oman, Syria, Libya, Jordan and other Arab countries. Images of hundreds of thousands of people holding protests and demonstrations on the streets of Tunis, Cairo, Alexandria, Sana�a and Amman were beamed on Al-Jazeera TV, which were viewed by millions of households in the Middle East and around the world and which helped in mobilizing and coordinating protests. The first Arab Social Media Report released in February 2011 says that the penetration of social networking sites is steadily on the rise in Arab countries, with the highest rate of growth was recorded among the youth between 15 and 29 years of age, a segment that makes up nearly one-third of the population in the Arab region. According to the report, the number of Facebook users in the Arab world increased by 78% in 2010 to 21.3 million, and that 75% of these belong to the younger generation. The number of mobile phone users in Egypt has grown exponentially in the last few years. There are now more than 55 million mobile phones in the country and Internet services are used by some 20 million Egyptians. Much before the uprisings, dissident activists and pro-democracy campaigners in Egypt were using the Internet to express their anger and resentment against the dictatorial regime of Hosni Mubarak. The unprecedented protests and demonstrations across large parts of the Arab world that marked the Arab Spring were a manifestation of people�s pent-up anger and resentment over economic insecurity, rampant corruption and nepotism, despotic rule, high levels of unemployment, widespread human rights abuses and an intimidating security apparatus. The Arab region is extremely rich in natural and mineral resources. There are 18 major oil-producing countries in the world, of which 10 are Muslim, mostly Arab, which produce nearly 40 per cent of the world�s oil. However, to presume the Arab region�s prosperity on the basis of its oil wealth is misleading. Most Arab countries are faced with poverty, high unemployment rates, malnutrition and high illiteracy rates. According to the Arab Human Development Report 2009, one in five Arabs�20 per cent of the population�still lives on less than $2 a day. About 34.6 million Arabs are living in extreme poverty. A joint study by the Arab League and the United Nations Development Programme indicates that rates of poverty remain high in the Arab region, reaching up to 40 per cent on average, which suggests that nearly 140 million Arabs continue to live under the upper poverty line. The report also notes that in the past 20 years there has been no appreciable decline in poverty rates in Arab countries. 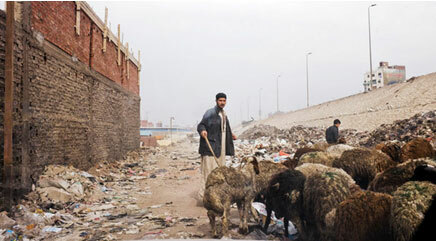 In Egypt, nearly 50 per cent of the population live below $ 2 a day. Nearly 23 per cent of the population in Algeria and close to 33 per cent of the population in Libya live below the poverty line. Despite its abundant natural resources, many Arab countries are faced with a rise in hunger and malnutrition. According to Food and Agriculture Organisation (FAO) figures, the Arab region is one of the world�s two regions, the other being sub-Saharan Africa, where the number of undernourished people has risen since the beginning of the 1990s�from about 19.8 million in 1990-1992 to 25.5 million in 2002-2004. The Arab region is lagging behind other regions of the world in respect of human development indicators. Illiteracy rates in the region are higher than the international average and even higher than the average in developing countries. Dictators and autocratic rulers have dominated the political scenario in the Arab region for more than five decades. Zine El Abidine Ben Ali ruled Tunisia with an iron fist for 25 years; Egypt�s Hosni Mubarak for 30 years; Yemen�s Ali Abdullah Saleh for 33 years; Libya�s Muammar Gaddafi for 43 years; Iraq�s Saddam Hussein for 24 years; and Syria�s Assad dynasty for 43 years. Bahrain has been ruled by a repressive monarchy since independence in 1971. Tunisia�s Ben Ali regime was one of the most tyrannical and authoritarian in the Arab world. International human rights groups, including Amnesty International and Freedom House, have documented and highlighted the gross violations of human rights and civil liberties in Tunisia. Hosni Mubarak kept his grip on power by using anti-terror laws and elections which were invariably rigged. His government kept the Egyptians under tight surveillance with the help of over a million informers and policemen. Political dissidents were imprisoned on trumped-up charges and subjected to torture. The Arab Human Development Report 2009 noted that the preconditions for the flowering of freedom are conspicuously absent in the Arab countries, which engenders deep and widespread frustration and despair among the people. By and large, the transfer of political power through the ballot box is a rare phenomenon in the Arab world. In many Arab countries which have some semblance of democracy, elections are often manipulated. Media control and censorship are widespread in Arab countries. Corruption, abuse of official position for personal gratification and nepotism are widespread across the Arab region. Tunisia�s disgraced former president Ben Ali and his second Wife Leila Trabelsi�s family controlled between 30 and 40 per cent of the country�s economy, amounting to about $10 billion. The assets held by the two families covered all sectors of the economy, including banks, insurance, distribution, transport, property, tourism, television channels and retail businesses. Leila Trabelsi has been notorious for her ostentatious lifestyle and profligacy. She often used the President�s 737 Boeing Business Jet to shop at the fashion capitals of Europe like Milan, Paris and Geneva. Last year, Tunisia rejected a French request for the extradition of two of Ben Ali�s nephews who are accused of having stolen two mega-yachts from a French marina. France�s Le Monde reported that relatives of Ben Ali fled the country with 1.5 tonnes of gold ingots valued at $65 million. The WikiLeaks diplomatic cables have described Tunisia�s ruling family as the nexus of corruption aided and abetted by a mafia-like network. 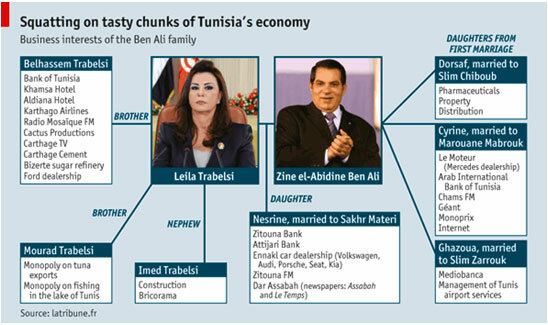 A June 2008 cable from the US embassy in Tunis quotes a report by the Transparency International to the effect that Ben Ali�s family was involved in clandestine dealings in cash, services, land and property. The cables also reported that due to fears of reprisals from the president�s highly influential and resourceful family, many Tunisian investors had to forgo new investments and were forced to keep domestic investment rates low, which added to the high unemployment rate in the country. A report by Global Financial Integrity, a watchdog group, in January 2011 said: �The amount of illegal money lost from Tunisia due to corruption, bribery, kickbacks, trade mispricing and criminal activity between 2000 and 2008 was, on average, over $1 billion a year�. That was a substantial sum for a country whose GNP is hardly around $80 billion at purchasing power parity. In Egypt, former president Hosni Mubarak�s family�s wealth is estimated to be worth $40 billion. The Mubarak family owns properties in London, Paris, Madrid, Dubai, Washington, New York and Frankfurt. Unemployment is a major source of economic insecurity in the Arab world. According to the Arab Human Development Report 2009, nearly 15 per cent of the labour force in the Arab region is unemployed. Data from the Arab Labour Organisation (ALO) show that in 2005 the overall average unemployment rate for the Arab countries was about 14.4 per cent of the labour force, compared to 6.3 per cent for the world at large. Though unemployment rates vary considerably in individual Arab countries, youth unemployment is a serious challenge common to many Arab countries. Overall, the unemployment rate among the young in the Arab countries is nearly double than in the world at large. Unemployment rates for Arab women are among the highest in the world. According to official figures, the unemployment rate in Tunisia is 14 per cent, but the actual figure is much higher�up to 30 per cent in some cities. Ezzedine Larbi, a former Tunisian-born World Bank accountant, reckons that the unemployment rate in the country is closer to 20 per cent for university graduates and 27 per cent overall for the 20-29 age group. In Jordan the unemployment rate is about 20 per cent. A joint study by the Arab League and the United Nations Development Programme indicates that in most Arab countries young people comprise at least 50 per cent of the unemployed�the highest rate in the world. For decades, Western governments have cheered and supported dictators and autocratic rulers in the Arab region and turned a blind eye to their shameful record of suppression of human rights, largely because such rulers were useful in protecting and augmenting the West�s economic, political and ideological interests and acted as a bulwark against the rising influence of Islamic groups. Egypt�s Hosni Mubarak, for example, was disparagingly called the �lackey of the West� across large parts of the Arab world. Western countries have long feted the Tunisian model and heaped praises on its secularism, liberal economic policies and stability, while glossing over the nepotism and corruption of the ruling dispensation, suppression of human rights and civil liberties and lack of democratic, transparent governance. 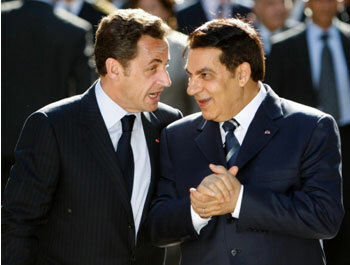 The US, France and Germany have always backed the Ben Ali regime and praised the dictator for being a �friend of Europe� and for his suppression of �extremist Muslims.� In the past, Nicolas Sarkozy had hailed Ben Ali as a great democrat. Dominique Strauss-Kahn, a member of the French Socialist Party and former head of the International Monetary Fund, once stated that Tunisia was �a model for many emerging countries.� The association of French investors in Africa, CIAN, praised the country for its �solid economy, coupled with political stability.� When large-scale protests and demonstrations were being held across Tunisia, Hillary Clinton, the US Secretary of State, was asked about the protests. �We can�t take sides, �she said. The West�s hypocritical and shallow claims of support for the democratic aspirations of people in the Arab region and elsewhere have been exposed not only during the Arab Spring but also in earlier decades. Riding on the wave of Islamic resurgence, the Islamic Salvation Front in Algeria won the municipal and regional elections in 1990. On December 26, 1881 the first multi-party elections were held in the country. The Islamic Salvation Front emerged victorious in the first round, securing 48% of the popular vote and 188 out of 231 parliamentary seats. The ruling National Liberation Front, on the other hand, could secure only 16 seats. The Islamic Salvation Front was widely expected to repeat its earlier performance in the second round of elections scheduled for January 16, 1992. However, on January 12 the pro-West Algerian army in a de facto coup seized power and stalled the election process in order to prevent the Islamic Salvation Front from winning. The military takeover was followed by a brutal suppression of the Front, precipitating a civil war in which more than 75,000 Algerians were killed and nearly 15,000 leaders and activists of the Front were arrested and imprisoned. Ironically, Western governments acquiesced in the Algerian military�s interruption of free elections and in its brutal suppression of the popular Islamic Salvation Front. Former American president George W. Bush cut short his �democracy agenda� after Hamas won the Palestinian elections in 2006 and the Muslim Brotherhood�s substantial success in Egypt�s parliamentary elections in 2005. The US and its European allies have turned a blind eye to widespread protests against Bahrain�s ruler, Hamad bin Isa al-Khalifa, mainly because he is an American ally and because the US Navy�s Fifth Fleet is stationed there. In the Introduction to Human Rights Watch�s World Report 2012, Kenneth Roth has written that Western governments cannot credibly maintain a commitment to democracy if they reject electoral results when an Islamic party does well. The report calls on Western governments to come to terms with the rise of Islamic political parties and press them to respect human rights. �So long as freely elected governments respect basic rights, they merit presumptive international support, regardless of their religious or political complexion,� the report says. Following large-scale and unprecedented mass protests across the Arab region, elections were held in several Arab countries, in which Islamic parties gained the majority of seats in parliaments and legislative assemblies. In Egypt, the Muslim Brotherhood-sponsored Freedom and Justice Party won 47 per cent of seats in parliament while the Salafist Al-Nour Party won 24 per cent of the seats. Secular liberals and leftists won 16 per cent of seats and pro-Mubarak parties just 5 per cent. 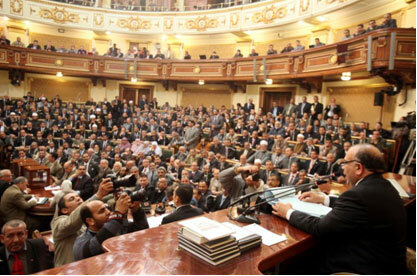 More than two-thirds of seats in Egypt�s new parliament are held by Islamic parties. Tunisia�s Ennahda Party won 41 per cent of the vote in the country�s first free elections held in October 2011. It has formed a coalition government with the human rights activist Moncef Marzouki at the helm. Marzouki was elected president on December 11, 2011. A moderate Islamic group, Justice and Development Party, gained the majority of votes in Morocco�s parliamentary elections held in November 2011, with a mandate to form a coalition government. The elections were held under a new constitution drafted in response to calls for democratization in the aftermath of large-scale protests across the country. 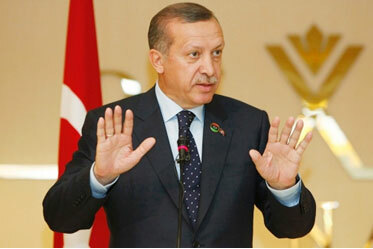 Morocco�s Justice and Development Party has been inspired by Turkey�s Justice and Development Party. Following widespread mass protests across large parts of the country in December 2011, the Emir of Kuwait dissolved Parliament and ordered snap parliamentary elections in February 2012. The Islamic opposition party secured 34 out of 50 seats, reducing pro-government MPs to a minority. While referring to the victory of Islamic parties in recently-held elections in Egypt, Tunisia, Morocco and Kuwait, Western commentators and the media often use the term �Islamism� and �Islamist parties.� The term Islamism, like �Islamic fundamentalism,� is obfuscating, misleading and contested. It has pejorative connotations and reinforces stereotypes and prejudices about Islam and Muslims. Furthermore, it ignores the significant ideological, methodological and regional variations that exist within groups and political parties that are inspired by the Islamic ideology. The Muslim Brotherhood (Al-Ikhwan al-Muslimun) has emerged as a formidable political force in Egypt, Morocco, Gaza and West Bank and Jordan. The Brotherhood, founded in Egypt by Hassan al-Banna (1906-1949), is fundamentally committed to the Islamic vision of society and polity, but pursues the path of moderation. The movement combines political activism with voluntary action and grass roots charity work. For many years it has paid small stipends to widows and supplied buffaloes on easy repayment terms to landless peasants in Egypt. Its committed cadres, mostly professionals, have shown remarkable resilience and perseverance in the face of repression and persecution. Within a short time of its establishment, the Muslim Brothers became popular across large parts of the Arab region. It fought against European colonialism and offered an alternative to socialism. By the end of World War II it had an estimated two million members. The Brotherhood has a notable presence in Egypt, Jordan, Morocco, Syria, Iraq, Palestine, Kuwait, Yemen, Oman, Algeria, Tunisia, Libya and Saudi Arabia. It has a substantial following in the Arab diaspora in the US and Europe. The Brotherhood has sponsored or supported political groups in the Arab region that have an affinity with its ideology and political vision. These include the Freedom and Justice Party in Egypt, the Islamic Action Front in Jordan, Hamas in Gaza and the West Bank and the Yemeni Congregation for Reform. Rashid Ghannnouchi (born 1941) has emerged as the most popular and powerful political figure in Tunisia as well as in the Arab region as a whole. 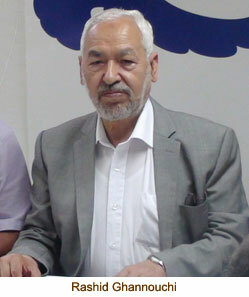 Ghannouchi studied philosophy at the University of Damascus and graduated in 1968. He spent a year at the Sorbonne before returning to his homeland, where he and his associates established an organization for the reform and rejuvenation of Tunisian society based on Islamic values and principles. 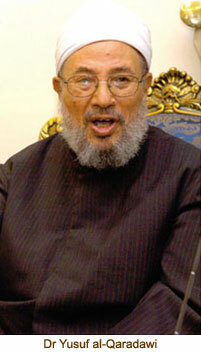 He founded the Islamic Tendency Movement in 1981, which was later rechristened as Ennahda Party, which aimed, in the Tunisian context, at the �reconstruction of economic life on a more equitable basis, the end of single-party rule and the acceptance of political pluralism and democracy.� Tunisia�s autocratic regime perceived him and his views as a challenge and threat to its authority and Ghannouchi was sentenced to 11 years in prison. This created a huge uproar across the country, following which he was released in 1984. 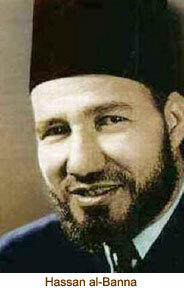 Ghannouchi then moved to Britain and obtained political asylum there. 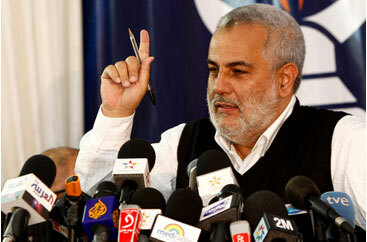 He returned to Tunisia on January 30, 2011 after 22 years in exile. Ghannouchi�s writings and recorded speeches have become extremely popular in large parts of the Arab world. 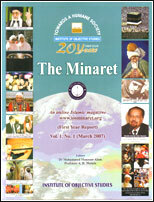 His writings are avidly read by educated youth in Arab countries as well as in Turkey and Malaysia. His views reflect a refreshing openness, accommodation and flexibility. He is widely credited for having emphasized the centrality of democracy, social justice, human rights and political pluralism in the current Islamic discourse and in Islam-inspired political and social movements in the Arab region in particular and in the Islamic world in general. He argues that the values of justice, human rights and public consultation are embedded in the Quran and in the Islamic tradition. For more than three decades, Ghannouchi has consistently argued that democracy and pluralism are compatible with Islamic values and principles. He espouses a tolerant and inclusive vision of society and polity and is against the forcibly establishment of an Islamic state. He has repeated denounced violence and terrorism, saying that �rulers benefit from violence more than their opponents.� He has said, �We consider that a state is more Muslim, more Islam, the more it has justice in it.� He said in an interview to BBC�s Radio 4 in February 2012 that the type of state he envisions is one that �doesn�t interfere in people�s private lives.� The state, he said, should not have anything to do with �imposing or telling people what to wear, what to eat and drink and what they believe in, and what they should not believe in.� He also said he had no plans to ban bikinis on Tunisia�s beaches or on the sale of alcohol. �I would prefer if people didn�t do that, but it is up to them,� he added. 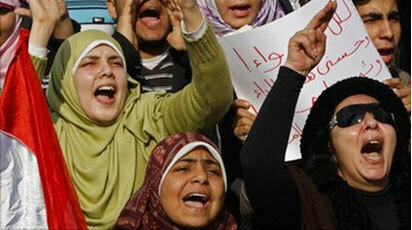 The Arab Spring has undoubtedly brought about a radical transformation of the political scenario in the Arab region. However, the Arab world continues to be fraught with formidable challenges and obstacles, including political instability, economic and financial woes and absence of political consensus on major issues. In Egypt, there is a palpable tension between the army, which is unwilling or reluctant to forgo its authority, and the elected parliament, which is keen to eliminate all vestiges of authoritarian rule. Many Arab countries which have been liberated from autocratic rule, are faced with falling growth rates, escalating inflation, heavy debts and rising unemployment. According to the International Monetary Fund, GDP growth in Tunisia plunged from 3 per cent in 2010 to 0 per cent in 2011. Foreign direct investment has dropped by more than a quarter. Nearly 120 foreign firms have closed down in recent months, rendering more than 40,000 people jobless. Rising prices and a high unemployment rate have added to people�s hardships. In Egypt, GDP growth has declined from 5 per cent to 1 per cent in the span of a year. Foreign direct investment has declined from $6.4 billion in 2010 to 500 million in 2011. Egypt�s foreign currency reserves have dwindled from $36 billion in 2010 to $10 billion in 2011. The country is faced with mounting debts, which necessitates a likely devaluation of the currency, which in turn will inevitably lead to a sharp rise in the prices of food and other goods. Inflation now runs into double digits. Tourism is one of the major sources of revenue, and some 15 million Egyptians depend on tourism. The political turmoil, the collapse of the government and political uncertainly have led to a 30 per cent decline in tourism. Unemployment has risen from 10 to 15 per cent, while youth unemployment is now at an all-time high of 25 per cent. In May 2011 Egypt�s military rulers rejected a $3.2 billion loan offer from the IMF, saying it would infringe on the country�s sovereignty. Now, faced with extremely grim economic prospects, the military rulers have agreed to reopen negotiations with the IMF. Following the political turmoil and civil war and the fall of the Gaddafi regime, Libya�s economy has contracted by more than 50 per cent. The country suffered a loss of as much as $15 billion inconsequence of the conflict and violence. The oil industry has virtually collapsed. A major challenge before Arab countries in the coming years will be creating about 51 million new jobs, mostly to absorb young people by 2020. The Arab Spring has not only brought about massive and unprecedented changes in the region�s political landscape but has also thrown up a host of key social and political issues, including pluralism, democracy, the reconceptualisation and reconstitution of the state, the role of Islam in state and society, secularism, modernity and globalisation, human rights and gender justice. The Arab region is widely and stereotypically, but incorrectly, perceived as socially, ideologically and politically homogeneous. This is far from the truth. The Arab region is characterized by a good deal of ethnic, religious, social, political and regional diversities. Though Muslims make up an overwhelming majority of the region�s population, there are significant religious and ethnic minorities, such as Christians and Jews. Christians of different denominations make up about 5.5 per cent of the region�s total populations. They comprise about 39 per cent of the population in Lebanon, 16 per cent in Syria, 10 per cent in Egypt and about 9 per cent in Iraq. There are small but long-established Jewish communities in Tunisia, Morocco and Yemen. The Muslim population of the Arab region is differentiated along sectarian and ethnic lines. Shias constitute about 65 per cent of the population in Iraq, 70-75 per cent in Bahrain, 45 per cent in Yemen, 30 per cent in Kuwait, 27 per cent in Lebanon, 12 per cent in Syria and 10-15 per cent in Saudi Arabia. There is a sizeable minority Kurdish population in Iraq (15-20 per cent) and Syria (9 per cent). The Berber people, who have their distinctive ethnic and linguistic identities, constitute the majority of the population in Morocco and Algeria, and have a sizeable population in Tunisia and Libya. There are significant differences in the Arab region in respect of the character of state and government. Eight out of 22 Arab regions (Saudi Arabia, Bahrain, Kuwait, Oman, Qatar, Jordan, UAE and Morocco) are hereditary monarchies. It is significant to note that Dr Yusuf al-Qaradawi and Rashid Ghannouchi, whose views and writings have an enormous influence on the Arab region and who have played a highly significant role in the Arab Spring, have openly espoused democratic pluralism. Qaradawi has long argued that Islamic law supports the idea of a pluralistic, multi-party civil democracy. While addressing a rapt audience of more than a million Egyptians at Tahrir Square on February 17, 2011, Qaradawi began by saying that he was discarding the customary opening �O Muslims� in favour of �O Muslims and Copts,� referring to Egypt�s Coptic Christian minority. He praised Muslims and Christians or standing together in their fight against the corrupt and autocratic regime of Hosni Mubarak and for working towards the establishment of a new dispensation founded on the principles of pluralism, democracy and freedom. The formation of nation states in the Islamic world can be traced to the early decades of the 20th century. The Arab revolt of 1916 against the Ottoman Empire and the anti-colonial movement paved the way for the establishment of independent states of Syria, Iraq, Lebanon and Jordan. The existing national borders of many Muslim states in the Arab region were arbitrarily drawn under colonial dispensation. The concept of state (dawlah) began to gain prominence in Islamic discourse in the wake of the demise of the Ottoman Empire and the abolition of the caliphate in 1924. A central issue in the contemporary Islamic discourse is the relationship between the religious and secular spheres. Broadly, one can identify three distinctive views on the subject. A number of prominent Muslim scholars and thinkers in the 20th century, including Bediuzzaman Said Nursi (d. 1960), Hassan al-Banna (d. 1949), Sayyid Qutb (d. 1966), Abul Ala Maududi (d. 1979) and Ruhollah Khomeini (d.1989), emphasized that Islam admits of no duality or separation between the religious and secular spheres. They lamented the separation between religion and state that came about after the golden age of Islam. A second view is held by the Egyptian scholar Muhammad Abduh (d. 1905), who argued that there was no conflict between Islam and secular principles. The third view is represented by the Egyptian thinker Muhammad Imarah, who argues that though Islam does not posit a strict separation between the religious and worldly matters, one needs to draw a distinction between the two domains. He suggests that the two spheres of political and religious authority should coexist, but they should not be unified in one structure. He emphasizes that the Islamic state is essentially a civil state, which must be based on democratic consultation and institutions. Rashid Ghannouchi seems to be in favour of a separation between the religious and political spheres. The term �Islamic state,� which is prominently reflected in the contemporary Islamic discourse, has been surrounded by a good deal of controversy and contestation. Many Arabs seem to be wary of the term in the context of its abuse and manipulation by autocratic regimes in the Arab region (and in Sudan), which used it as a pretext for state repression and tyranny. The term has also been made controversial by the Iranian context, in which the state is perceived and defined as a kind of theocracy ruled by the clergy. A great deal of debate and controversy surrounds the idea of secularism in the context of the Arab and Islamic world. Since secularism is a Western import, it is worthwhile to cast a glance at the theory and practice of secularism in the Western context. A distinction needs to be drawn between the process of secularization, which connotes the gradual separation of all walks of life and thought from religious and ecclesiastical concerns, and secularism as a state ideology, which entails a separation between church and state. There exist broadly two models in Europe which define the relations between church and state. One of them is premised on a union of church and state while the other espouses a separation of the two domains. The first model can be divided into three sub-types: (i) states which have an official or established religion (such as Britain, Denmark and Sweden), with constitutionally guaranteed freedom for all other religions (ii) some European states accord official recognition to different religious communities (Germany, Belgium), and place all religions on an equal footing (iii) some states (Greece, Spain) confer a preferential status on the dominant religion of the country. Until 1984, Catholicism was Italy�s state religion. Greek Orthodox Christianity has exercised a profound influence on the social, political and cultural conditions in Eastern Europe. The close and historically-embedded linkage between church and state in Russia and other East European countries has been drawn from their Byzantine and Orthodox heritage. The second model, which is founded on the principle of neutrality of the state, secularism and equal treatment of all religions, is followed in France and the Netherlands. While France follows the laicite model (based on the French version of secularism), the Netherlands has developed the �pillarization system,� which grants the right to all religious communities in the country to develop their religious, cultural and educational institutions with state subsidies. The relation between state and church in many European countries remains porous. In Denmark, for example, churches are state-owned and the Christian clergy are state employees. In Britain and the Scandinavian countries, the king or queen is also the head of the established church. Bishops are members of the House of Lords by right and only the senior archbishop can crown a new monarch. Countries like Britain, Denmark and Greece believe that there is no conflict between secularism and having a state or established religion. Historically, there has been a close relationship between church and state in Germany. The German constitution accepts, in principle, the separation of church and state and the tenet of neutrality of the state in matters of religion, but not in an absolute sense, unlike in the case of France. Article 140 of the German constitution, which regulates the status of religion in the country, grants the Protestant and Catholic churches the status of a corporation under public law, which guarantees certain privileges, such as the collection of church taxes and the organisation of religious instruction in state schools. Nearly 80 per cent of publicly funded nursery schools in Germany are run by the churches on behalf of the state, and so are a number of hospitals and other welfare institutions. The state collects taxes from the Protestant and Catholic communities and hands over the money to the churches after deducting the administrative charges. Some scholars describe the relations between church and state in Germany as an instance of �imperfect separation�. Germany espouses an expansive, accommodative model of secularism. The privileged status that the Christian Churches have traditionally enjoyed in German society has encouraged other religious groups to demand similar privileges and concessions. The issue of introducing Islamic instruction in state schools is a case in point. The demand made by Muslim groups in the country to incorporate Islamic instruction in the curriculum in state schools is backed by a reference to the constitutional provision that allows religious instruction in schools. Similarly, the decisions held by the Supreme Administrative Court that allowed Muslim girls in some cities to be exempted from coeducational sports lessons and the permission given to Muslims to slaughter animals according to Islamic rituals were legitimized through recourse to the basic constitutional principle of freedom of religious expression. Laicite (a French word for which secularism represents an imperfect translation) is the cornerstone of the French republic. Roughly speaking, the term secularism denotes the separation of church and state, but there are significant differences in the historical and social context and connotation of secularism. In America, home to religious minorities who fled persecution at the hands of European rulers, the separation between church and state was meant to protect religions from unwarranted intervention by the government. In France, separation was intended to secure the allegiance of individuals to the republic and so break the political power of the Catholic Church. In France, the state protects individuals from religion. It is considered essential to republican democracy that religion is a private affair. The distinction between private and public (religious belief and one�s obligation to the state) is based on traditions historically associated with Christianity. Laicite is regarded as not just any secularism, but a special and distinctive French version, at once more universal than any other and unique to French ethos, traditions and national character. According to this principle, matters of individual conscience are private and should be free from public interference. �Unlike other secular democracies, France has raised laicite to the level of a founding value,� wrote Bernard Stasi in his report. Laicite is part of the mythology of the specialness and superiority of French republicanism. A glimpse into the historical and cultural context of laicite is sufficient to expose the mythological superiority of the doctrine. Historically, France has worked out an accommodation with the Catholic Church in many ways. Even after the separation of church and state was mandated by law in 1905, public schools accommodated the desire of parents (and the pressure of churches) for children to have religious instruction and treated it as a right. The secular state also maintains religious buildings as a public responsibility. Churches and synagogues built before 1905 (the year in which the principle of laicite was officially adopted by the state) are considered �cultural edifices� and their maintenance is subsidized by the state. Since 1958, the French government has contributed 10 per cent of the budgets of private religious schools. More than 2 million children attend state-supported Catholic schools. The school calendar still observes only Catholic and state holidays. The proposal of the Stasi Commission to add a Jewish and a Muslim holiday was rejected by President Chirac. Interestingly, the former French President Valery Giscard d�Estaing had sought, unsuccessfully, to include a mention of Europe�s Christian heritage in the European Union�s constitutional preamble. The suggestion provoked controversy and division among the member-states of the EU. The discourse on secularism in the Arab region has largely focused on the separation between the political and religious domains and on the adoption of the secularist principle as an instrument of state policy. One can identify three distinctive streams of thought in respect of secularism in the Arab region. Secularism and modernity were introduced as a state-sponsored project in the first half of the 20th century in Egypt, Tunisia, Algeria, Morocco, Syria (and Kemalist Turkey). Though the old constitution of Tunisia declared the country to be an Islamic state, Bourguiba and Ben Ali made Islam subservient to the secular state and its role had progressively been circumscribed and undermined. Bourguiba�s 30-year reign was characterized by an evident Western and secular orientation, an unrelenting quest for modernization and a marked disdain for political groups and parties that claimed to be inspired by the Islamic ideology. In the 1980s he imprisoned and threatened to execute leaders of the Islamic Tendency Movement. In 1956, shortly after independence, Bourguiba launched a massive project aimed at undermining the vitality of religious institutions and the authority of religious functionaries. Shariah courts were abolished and religious endowments were nationalized. The highly respected Zaytuna seminary was integrated into the University of Tunis. In addition, Bourguiba pushed through a controversial legislation called the Code du Statut Personel (Personal Status Code), which secularized the family code and replaced the Shariah-based laws in respect of marriage, divorce, inheritance and child care. Polygamy was outlawed and divorce was made subject to judicial review. The government refused to give permission for the celebration of festivals relating to the shrines of Sufi saints. A number of Sufi shrines were even demolished by the authorities. On February 5, 1960, three weeks before the commencement of the holy month of Ramadan, Bourguiba launched an audacious attack on the practice of fasting, arguing that Tunisians needed to devote their energies to the country�s progress and development rather than to the observance of outmoded religious practices. The secularist zeal of the political elite in Tunisia, Syria (and Kemalist Turkey) was reflected in the ban on the wearing of Islamic veils or headscarves in public places. In July 2010, Syria�s minister of higher education, Giyath Barakat, declared that students wearing the face-covering veil would not be allowed to enter university campuses. He added that the practice of wearing the full veil ran counter to the academic values and traditions of Syrian universities. Participation in democratic politics and governance necessitates compulsions, flexibility of attitudes, negotiations and compromises. In the face of Egypt�s grim economic scenario, the Muslim Brotherhood, which is poised to take over the reigns of power in the coming months, is open to restarting negotiations with the IMF over a 3.2 billion loan. Ashraf Badr El-Din, the head of the Brotherhood�s economic policy committee, told Reuters in an interview on January 12, 2012, �There is no objection to borrowing. But it must be without conditions. And it should be in accordance with national priorities.� The organization has also declared its support for free markets. The leadership of Tunisia�s Ennahda Party and the Muslim Brotherhood in Egypt has brushed off calls by hardliners to ban bikinis and alcohol in tourist resorts. It is note-worthy that Moncef Markouzi, who was elected Tunisia�s new president on December 12, 2011, with the support of Ghannouchi, was earlier head of the secular centre-left Congress for Republic Party. In the orientalist discourse and in the Western media, Muslim societies are often characterized as static, fossilized and immune to currents of change. This is an unfounded stereotype and a myth. History testifies to the fact that Muslim societies are greatly influenced by dynamic processes, which are reflected in social, political and reform movements, in the reinterpretation of legal rules in the context of changing circumstances and in anti-colonial movements. The Arab Spring has exposed this myth in a forceful manner and has shown that Muslims often respond to the challenges of times not with cynicism, defeatism or withdrawal but with constructive engagement and determinism. The Arab Spring has also belied the assumption, nurtured and propagated by Western social scientists and commentators, that the trappings of modernity can ensure people�s well-being, regardless of the wider social and political context. It is significant to note that protests and demonstrations against the ruling dispensation were the most vociferous and widespread in those countries�Tunisia, Egypt, Syria�which have been the torch-bearers of Western modernity in the Arab region and where the ruling establishment had modernist and secular pretensions. The Arab Spring has proved beyond a shadow of doubt that the yearning for freedom, democracy and security is as strong in the Arab region as elsewhere in the world. By and large, the perception, attitude and response of Muslims in the Arab region and in the wider Islamic world towards the West represent a curious mixture of awe and adulation, ambivalence and wholesale rejection. This is largely a legacy of the encounter of Muslim societies with European colonialism, Western civilization and Western modernity. The political and intellectual elite in countries like Turkey, Egypt, Tunisia, Syria and Morocco looked up to the West for inspiration and warmly embraced Western modernity and secularism, while the Islamic-minded elite and socio-religious organizations like the Muslim Brotherhood, the Jama�at-e-Islami and the Salafis repudiated and rejected the whole baggage of modernity. An extreme manifestation of this tendency can be seen in the Boko Haram militant movement in present-day Nigeria, which dubs everything that is even remotely associated with the West as illegitimate and forbidden. Unfortunately, individuals who sought to steer clear of the extremes of blind acceptance and uncritical rejection of Western modernity and who espoused an approach based on discretion, moderation and pragmatism have been too few. It is significant to note that Tunisia, Egypt, Morocco and other states in the Arab region are now looking up to Turkey�and not to Iran�for political inspiration. As a vibrant, forward-looking democracy with a robust economy, political stability and sensitivity towards its glorious cultural and religious legacy, Turkey can serve as a model for Muslim countries in many respects.